This month we're delighted to have Diana Kimpton as our guest blogger. 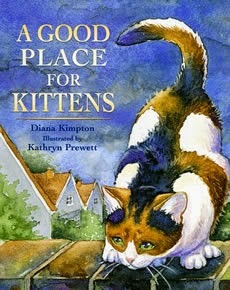 She addresses the old question of what to do with a picture book once it goes out of print. So please read on and enjoy. Having your picture book published is an exciting process. There’s the thrill of seeing your characters come to life in the illustrations, the excitement of seeing the story transformed into a book and the satisfaction of seeing your book for sale in the shops. However, except for favourites like The Gruffalo, there’s another less pleasant step that’s not talked about so much. It’s when your publisher decides that the book isn’t selling enough to justify a reprint. Sometimes they wait until the print run is sold out, sometimes they sell off the last copies cheaply to get them out of the warehouse. Either way the result is the same: that book you worked so hard on is no longer available. It’s out of print. At this point, you can get the rights to your book back. But what happens next? The answer is easy for authors of novels: they can bring new life to their out-of-print books by self-publishing them as ebooks. However, that route is much more difficult for picture book authors because picture books need pictures and, unless we illustrate our own work, we only have the text. That leaves us with several options. Work with the original illustrator or a new one to produce a fully illustrated picture book. As the proud owner of a drawer full of out-of-print stories and stories that have never been published, I decided earlier this year that I didn’t want them to languish there any longer. As I wasn’t in a position to self-publish illustrated versions, I started wondering who would want a picture book text with no pictures. After a bit of thought, I realised that would-be illustrators need stories to practice on so I decided to give them a helping hand. 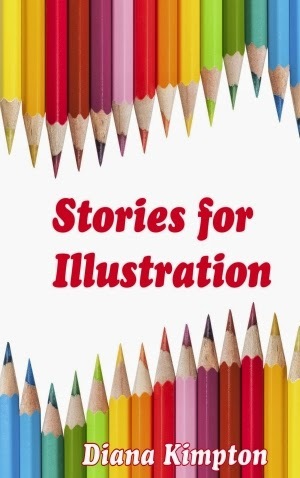 The result is Stories for Illustration – a collection of five picture book stories that come complete with wide-ranging permission to use them in colleges, schools and at home. There are some illustration tips too, but absolutely no pictures. The book is not flying off the shelves. It’s such a tiny market that sales are very low. But the book cost very little to produce so I don’t mind. I’m just glad that the stories are out of the drawer and available to read again. I was sent a list of questions the other day. 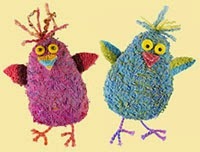 They came from a publicist who wanted information in advance of my next picture book. 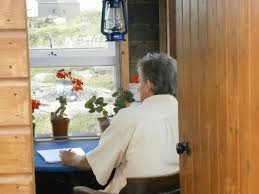 What keeps you motivated in what is predominantly a solitary occupation? I love living in a world of imagination. I love having total freedom as to when and what to write. I love that young children are so open to joy, to excitement, to wonder. 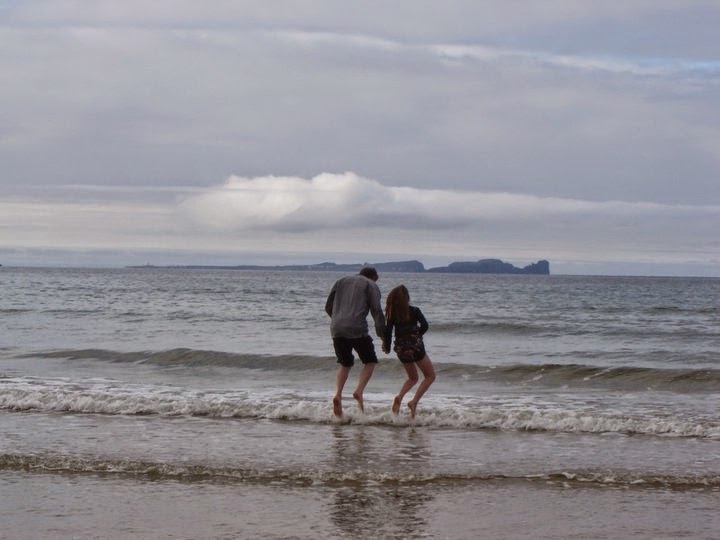 I love living in the mind of the four, five, six-year-old Malachy, of seeing the world through his eyes and trying to capture some of that joy, wonder, excitement (and silliness) on the page. 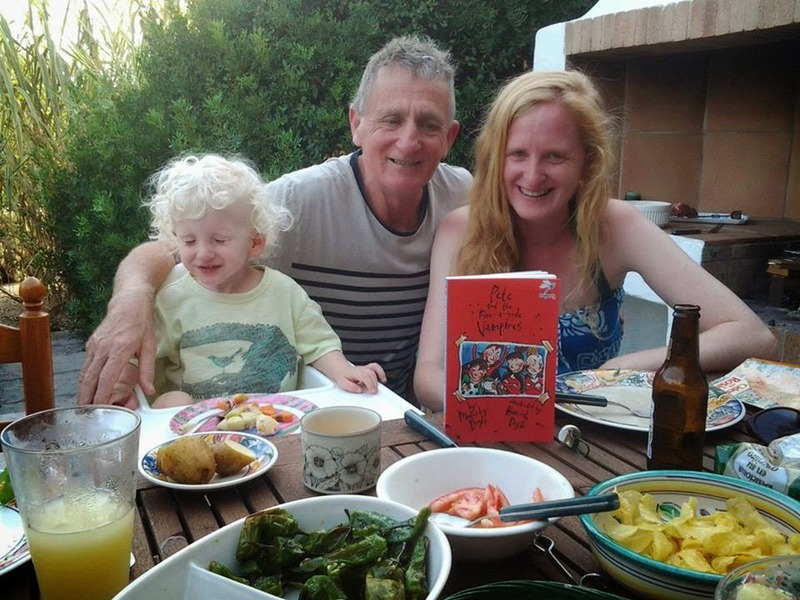 I love reading my books to children (especially little Daniel, above), and watching them read the books themselves. Books have brought so much joy to my life – it’s a privilege and a continuing wonder to be a part of bringing some of that joy to the next generation. So that’s what it's all about, to me. That's what keeps me motivated. Anything you’d add, anyone? And my next picture book, Tadcu's Bobble Hat, my 100th book, illustrated by Dorry Spikes, is published by Gomer Press in October. Anyone can start the game at any age… all you need to get started is some good advice. That is much, much harder than it sounds. 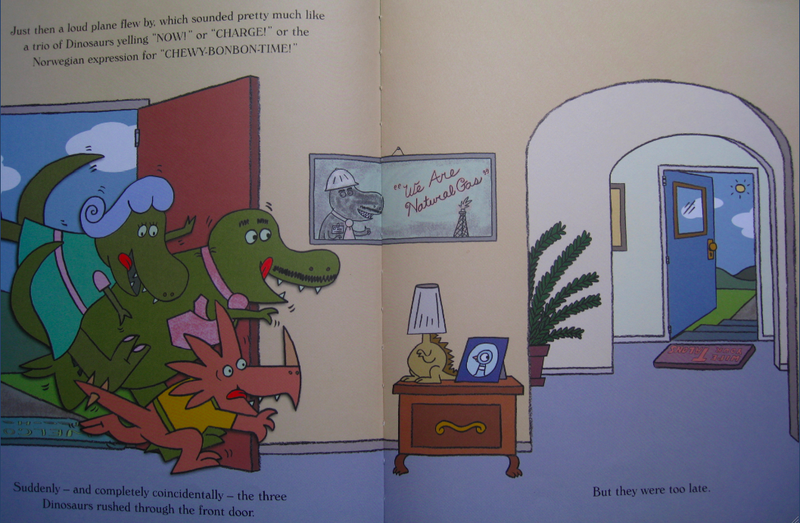 A good picture book text has to read nice and easy, too, so don't force the text, let it come naturally. 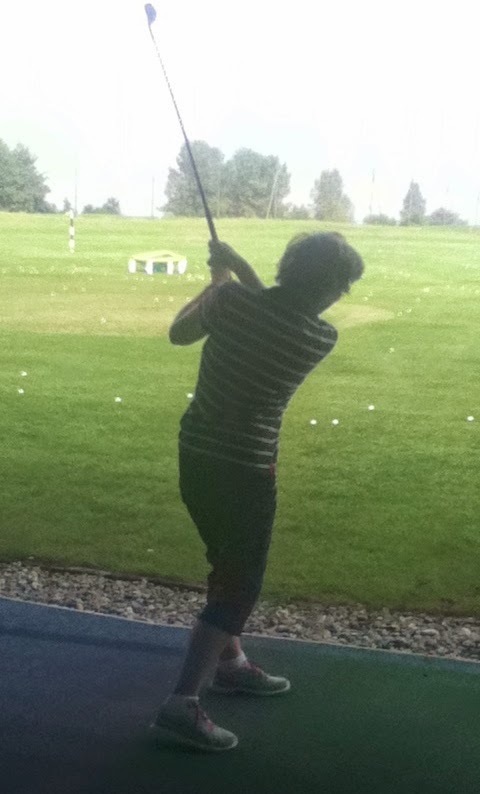 With golf, I'm still at the stage where I tense up and get sweaty. As long as you are pointing your shoulders and feet squarely at the target, you should be able to get where you want it to go. Right. I attempt to start off square to the target, but things tend to slip and I miss. Picture book texts can get lost, stuck in a bunker, or ricochet out of bounds, too. You will find that if you practice this enough, your hand-eye coordination will improve dramatically and you will consistently make solid contact. Well, here's hoping! 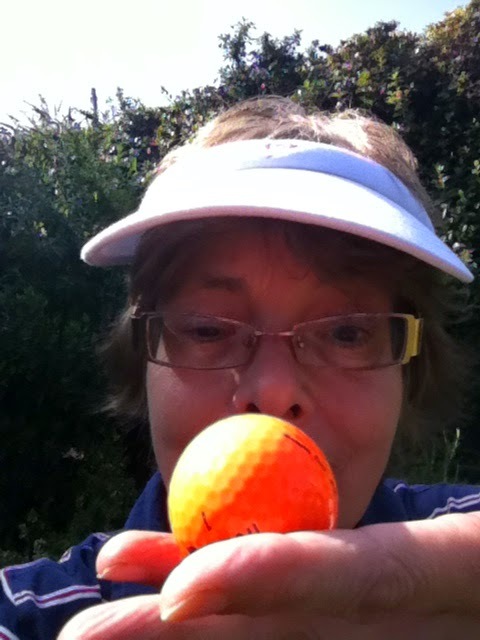 But yes, in golf and picture book writing, persistence, practice and application is all. In his book Outliers , author Malcolm Gladwell says that it takes roughly ten thousand hours of practice to achieve mastery in a field. That was certainly true of me and writing. 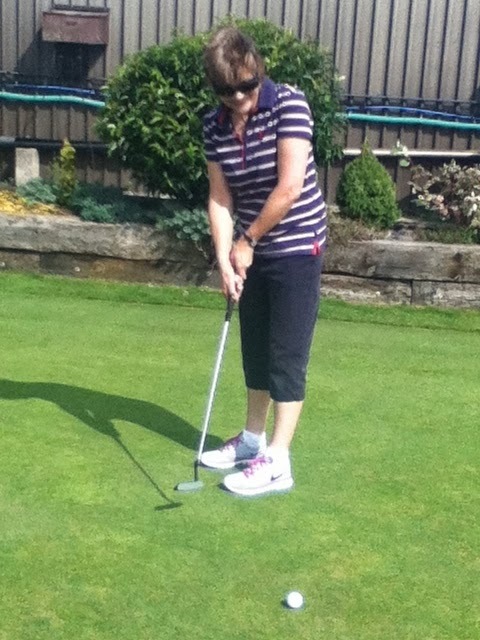 So far, I've notched up about 50 hours of golf so I've got a way to go. But I'm having fun so I'll stick with it. And that applies to picture book writing, too. Jane's at proof stage with 4 toddler board books, illustrated by Georgie Birkett, to be published next year by Random House, and having lots of fun writing a series for another publisher who won't allow her to tell anyone about it yet. First, think about all the books that you really, really love. WHY do you really, really love them? If you really, really love a book, you want everyone to read it. You tell everyone about it, right? WHY? Every time I read it, I laugh and laugh! 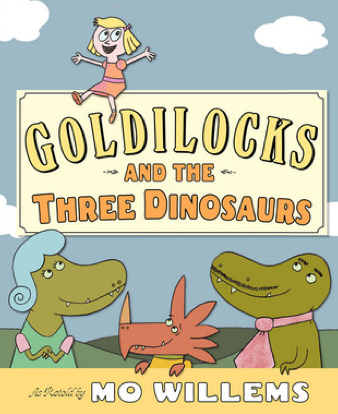 The bears are replaced by dinosaurs who make delicious chocolate pudding instead of porridge; there are three HUGE chairs, and the dinosaurs are out to trick Goldilocks into becoming a delicious chocolate-filled-little-girl-bonbon for supper. 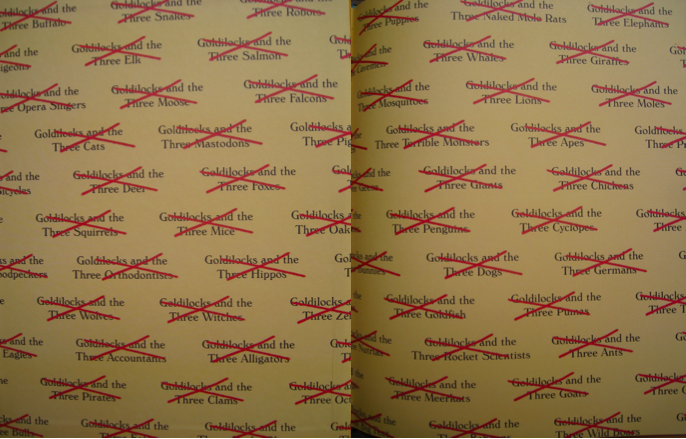 Just look at the endsheets! One can imagine Mo sitting at his desk thinking about the story premise, ticking off the options until he settled on just the right mix of elements. 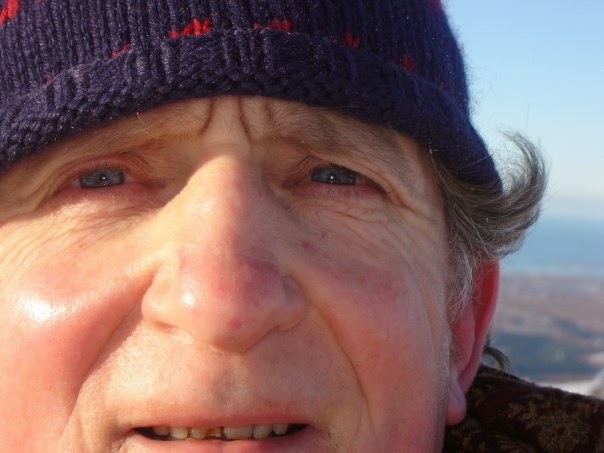 An SCBWI interview asked him: "Were there hundreds and hundreds of these that you came up with and by a process of winnowing you picked the craziest 122? How do you judge what's funnier than what? Are you putting yourself in readers' shoes or are you choosing what YOU think is funniest and confident we'll agree?" "I write as much as I can, then take the unfunny stuff out," replied Willems. It's the process of working out a breakout premise. 1. Hold you captive in a world – you wish you could spend time hanging out with those characters, living in their world. It is just so convincing, compelling, filled with unforgettable details, yet uncluttered in the simplicity of its language. And if it's funny or sad or joyous to boot, you've got a real winner! 2. Have characters you wish you could invite home for a cup of tea. They are funny and interesting and you have a strong affinity with them; or perhaps they are the kind of person you wish you could be. 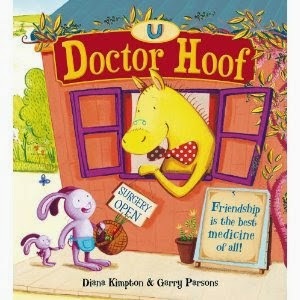 Doctor Hoof (illustrated by Garry Parsons) really wants to help others, but he's new in town. He has to revise his expectations about what sorts of animals he can help, but when he does try, it makes him feel great inside. 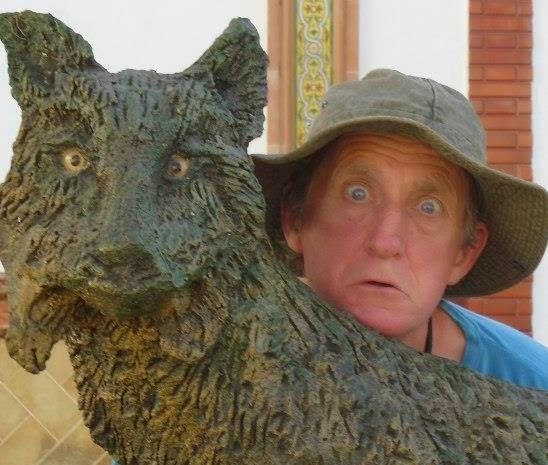 Plus he makes lots of new friends with animals he would perhaps not have met otherwise. We also liked The Owl and the Pussycat by Edward Lear. "To me, you are still nothing more than a little boy who is just like a hundred thousand other little boys. And I have no need of you. And you, on your part, have no need of me. To you, I am nothing more than a fox like a hundred thousand other foxes. But if you tame me, then we shall need each other. To me, you will be unique in all the world. To you, I shall be unique in all the world … if you tame me, it will be as if the sun came to shine on my life. I shall know the sound of a step that will be different from all the others. Other steps send me hurrying back underneath the ground. Yours will call me, like music, out of my burrow. And then look: you see the grain-fields down yonder? I do not eat bread. Wheat is of no use to me. The wheat fields have nothing to say to me. And that is sad. But you have hair that is the color of gold. Think how wonderful that will be when you have tamed me! The grain, which is also golden, will bring me back the thought of you. And I shall love to listen to the wind in the wheat . . ."
Are you Skyping comfortably? Then I'll begin. A couple of years ago two school children in North Carolina emailed me to ask if I’d make a Skype visit to their elementary class. The class had read my picture book The Princess and the Pig and wanted to ask me some questions about it. I’d been thinking about offering Skype visits for some time, so I agreed. The visit went really well. 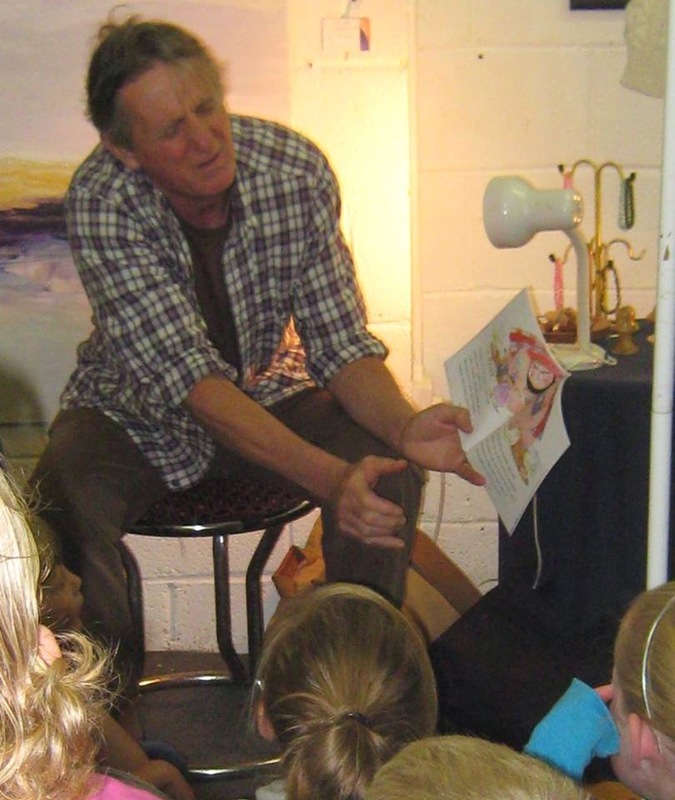 I read the book to the children who'd prepared some great questions to ask me afterwards. The visit had been very quick and easy to arrange and although I’d only spent half an hour talking to the children it was obvious they'd become very enthusiastic about my books as a result. 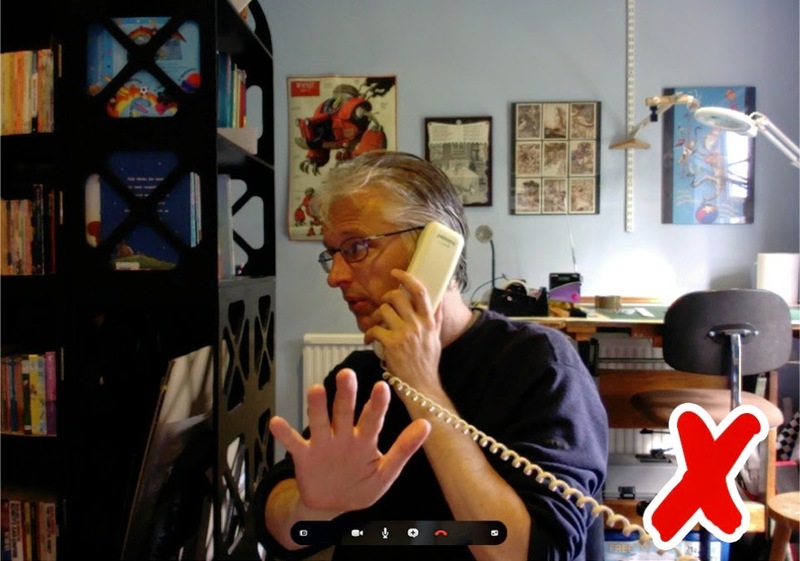 Skype author visits are very popular in the US with many US children’s authors offering short virtual visits for free as well as longer visits for a fee. 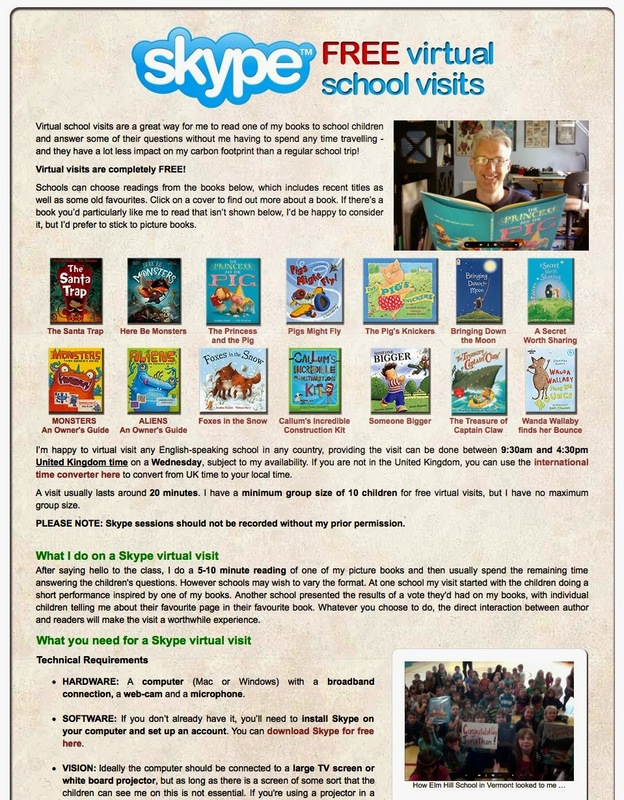 It seemed like a great way to connect with young readers both in the UK and beyond, so in June last year I started offering a limited number of free Skype school visits through my web site. I did my twentieth virtual visit last term and already have another five lined up for this autumn. Some of the schools I've visited have not had an author visit of any kind before and every school has been very appreciative. Teachers often follow up with classroom activities and schools have sent me letters, drawings and even an ebook the children created in response to my visit. Although the technology is in place, virtual visits don’t seem to have caught on in the UK in the way they have in the US and only three of my virtual visits have been to UK schools. I think their popularity in the US is partly due to web sites such as the Skype an Author Network and Kate Messner's “Authors who Skype” web page which lists authors offering free Skype visits to US schools. 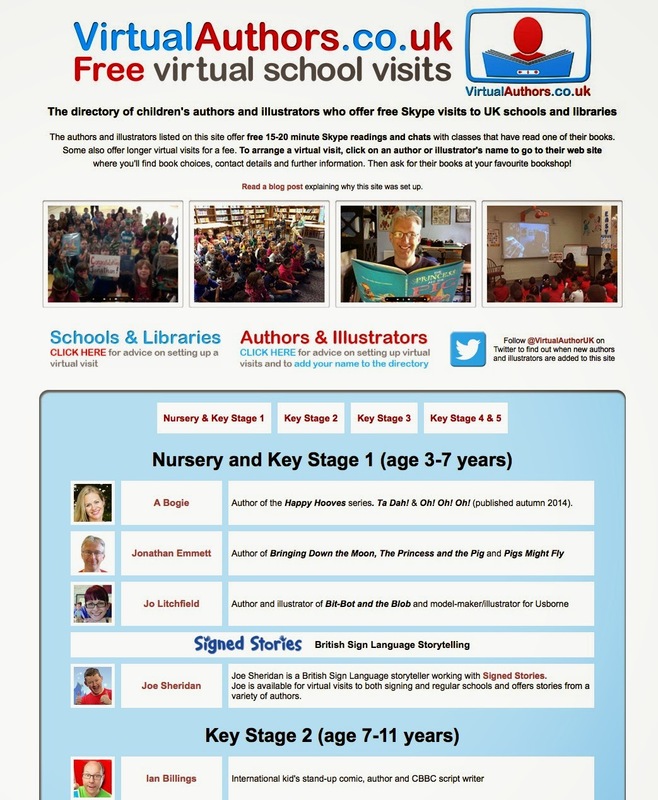 So in March this year I set up virtualauthors.co.uk a directory of UK authors and illustrators offering free 15-20 minute Skype visits to UK schools. The Virtual Authors site includes a page of advice for authors and illustrators on how to set up virtual visits, but I thought I’d offer some further advice on this blog. 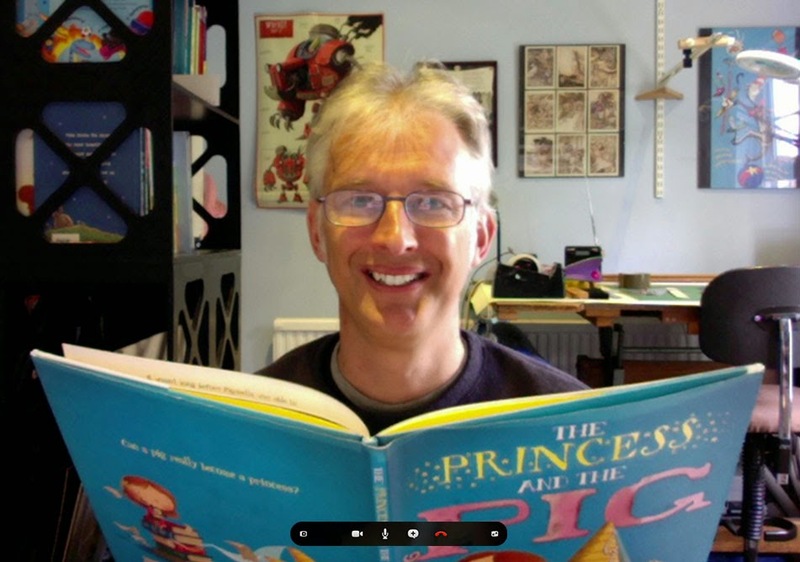 So here are 10 top tips for great virtual author visits. Since I don't charge for my virtual visits, I like to keep the admin time to an absolute minimum and most of my visits are arranged with one or two short emails. The virtual visits page on my web site attempts to answer all the questions that schools might want to ask such as ‘how long does a visit last?’ or ‘is there a minimum group size?’. There’s also a booking table showing which dates are currently available. If this information wasn’t on the site I’d have to spend time responding to these questions by email. Similarly, you can ask schools to email you their visit requests, but a visit request web form with ‘required’ fields is a good way to ensure that schools provide you with all the information you need in one go. One of details you need to get from the school is their Skype-name. Teachers sometimes get this wrong, so it’s worth making sure you have the correct Skypename by sending a “contact request” via Skype in advance of the visit. I usually do this as soon as I receive the booking request to get it out the way. Ask the school (via email) to make sure that they accept the contact request and then check that they've done so a couple of days before the visit. This eliminates any problems with making contact on the day. On a real school visit, if you have spinach in your teeth or your flies are unzipped, someone will probably point this out to you before you appear in front of a room full of children. The first time anyone will see you on a virtual visit is when you appear on the screen, so take a quick look in the mirror to check that your hair’s not sticking up at an outrageous angle or make sure you haven’t got toothpaste smeared across your chin – unless that’s the look you’re going for! You might also want to check that your webcam is angled so that the children can see your whole face and not just the top or bottom of your head! You can check how you'll appear on your webcam by using the preview window in Skype's preferences. On a Mac, click on Skype on the menu bar, then Preferences > Audio/Visual. On a PC, click Call > Video > Video Settings. Don't look like you've just crawled out of bed and check that your face is well-framed. You don’t want the children to see you as a sinister silhouette, so make sure your face is adequately lit when you’re on camera. If you're Skyping during daylight hours, daylight from a window will often provide the best lighting. If you’re using a Mac or a PC with a large screen to Skype, bear in mind that the screen itself is a light source. If the desktop on your computer is bright green and there’s not much light coming from your surroundings, your face may be bathed in sickly green light. This might be perfect if you’re reading a horror story, but if you're not then a neutral-coloured desktop (or a blank white document) behind your Skype window will illuminate your features without a colour cast. Unless you're deliberately going for sinister, make sure you're seen in a good light. You don’t want anything distracting you while you talk to the children, so five minutes before the visit take your landline off the hook and switch your mobile to silent. You might also consider quitting or turning off any alert sounds for your email and Twitter accounts. Even though it’s a virtual visit, you want it to feel as personal as possible. So if like me you’re not very good at remembering names, write the name of the teacher, the class or year group, the school and the school’s location on a small piece of paper and stick it right next to the camera where you’ll be able to read it without looking away from the screen. One of the things that can make Skype conversations feel less real than face to face conversations is a lack of eye contact. Skype users tend to look at the other person’s face on the screen rather than straight into the camera. Most authors will be using a webcam that’s built into their laptop or desktop PC. It’s tempting to make the Skype window full screen so that you get a bigger image of the children, but if you have a large screen it’s worth keeping the Skype window relatively small and right next to the camera (see screen photo above). That way you can see the the whole class while keeping your eyes close to the camera, which will look a lot more natural from the children’s point of view. When I’m reading a picture book, I try to look straight into the camera for most of the time so that the children will feel I am reading directly to them. Try to speak at a natural volume. If you find yourself talking loudly without meaning to, it may be because you have the speaker volume set too low on your computer; the children sound quiet so you subconsciously raise your own voice to compensate for the apparent poor connection. Similarly if you’re Skyping to a large hall full of children there’s no need to raise your voice so that they can hear you at the back (as you'd do if you were there in person). If your audience can’t hear you, the teacher can turn up the volume at the school's end. My Skype sessions usually include a question and answer session. On my actual school visits I can select which children ask questions by pointing at them myself. This isn’t practical on a virtual visit as the class can’t accurately judge who you’re pointing at from your screen image. An easy way around this problem is to ask a teacher to pick and prompt each questioner in turn. A virtual visit is no substitute for a real school visit, but speaking to the children from home does have some advantages. 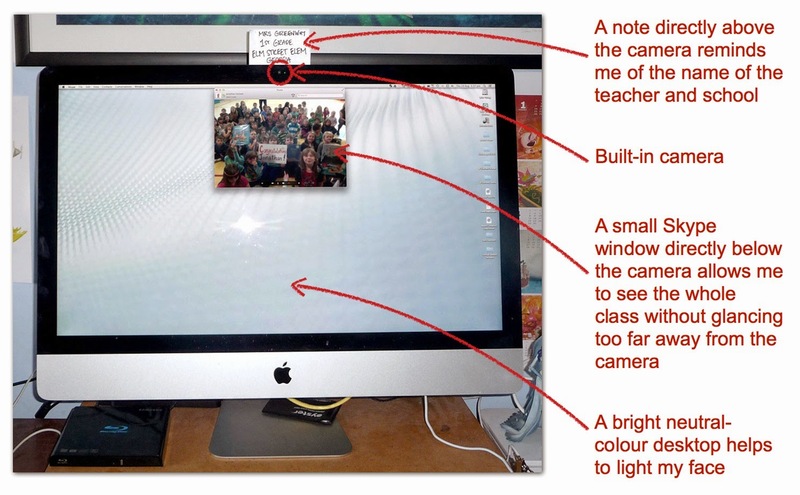 For instance, if you’re able to move your camera around, you can give the children a guided tour of your office. I only take a small selection of my books on my actual school visits, but on a virtual visit I have them all at hand. So If a child asks me about the first book I ever wrote or my favourite picture book by another author, I can take a copy from my bookshelf and show it to them! 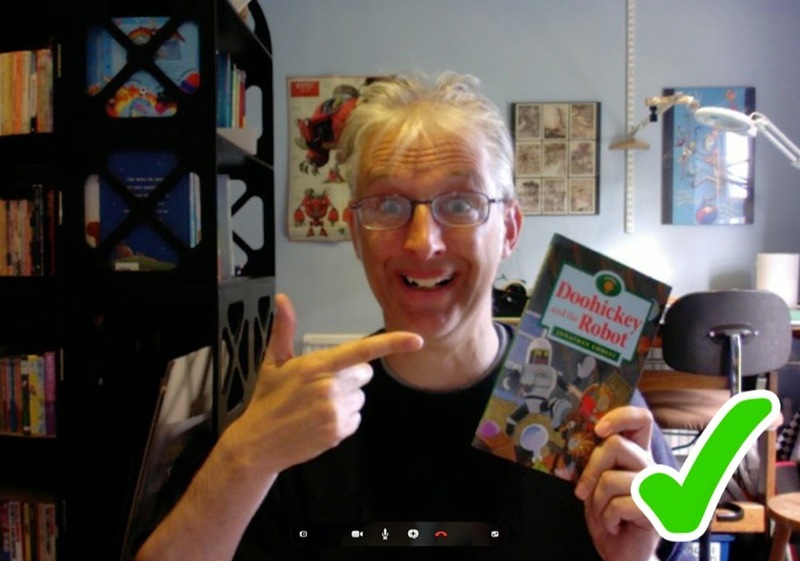 I hope this post has made some of you – authors and teachers – want to give virtual school visits a try. If you're already an experienced virtual visitor and have any tips of your own, I’d love to hear them, so please post them in the comments below! And If you’re a traditionally published author or illustrator that would like to be listed on virtualauthors.co.uk, please fill out the form on this page. 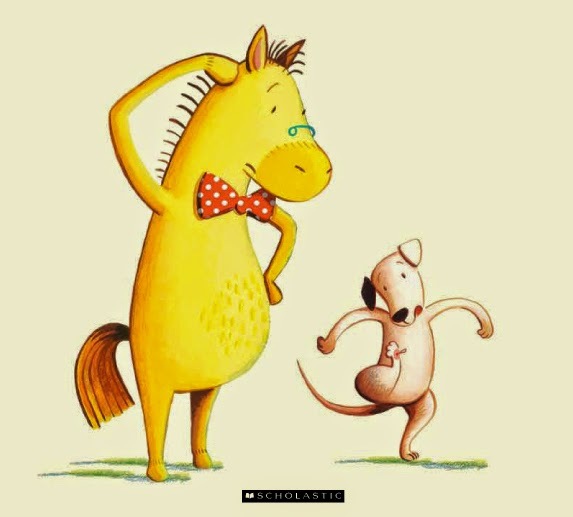 Most of the authors that are currently listed on the site write for older children, so it would be great to have a few more picture book authors and illustrators. 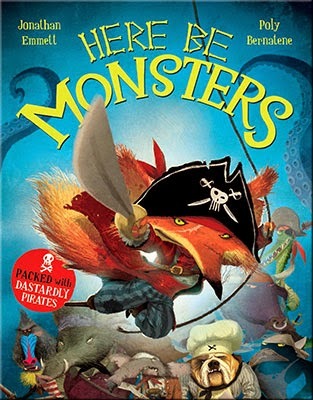 Jonathan Emmett's latest picture book is HERE BE MONSTERS, a swashbuckling tale of dastardly pirates and mysterious monsters, illustrated by Poly Bernatene and published by Macmillan Children's Books.